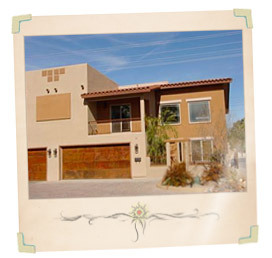 Find the new Arizona Townhomes and Condos for Sale that you're looking for on MyOwnArizona.com. Search our website to locate your Townhomes and Condos for Sale in Arizona, Southern Arizona's largest condo marketplace. Search, sell, list, and rent your new Townhome or Condo. Given below is a list of cities in Arizona, click to find new condos, townhomes, and patio home developments currently selling in that area. Townhouses and Condominiums and Patio homes, more frequently referred to as "Townhomes and Condos", are rapidly becoming the first choice in housing for many people who would not have thought about this style of home in previous years. They offer a number of advantages for certain buyers and a wide range of prices -- from entry level for first-time buyers to luxury models for more mature and affluent buyers. Townhouses in Arizona: a single-family dwelling unit constructed in a series or group of attached units with property lines separating such units. Townhomes are built as single- or multi-story units -- each with at least one separate outside entrance. A townhouse is like a house in that the owner owns both the structure and the land on which it sits; but it is not free-standing, so "the land on which it sits" is limited to the front and back yards. Townhouses are connected to one another in a row, and are usually two or three stories tall. It is important to note that townhouse refers to the type of house and not to the type of ownership. The ownership responsibility in a townhouse (townhome) is the same as for a house; however, there may be differing circumstances from development to development, city to city or state to state regarding who owns the outside walls, roof, etc. of the structure which must be verified with local authorities. Condominiums in Arizona: A Condominium or suite of rooms designed for dwelling is most often similar to an apartment. A condominium is usually owned and occupied by the same person, as differentiated from an apartment which is usually owned by one party (a landlord) and occupied by another (a tenant). Condominium actually refers to actually type of ownership. Condos are individual dwellings within a single building, often multi-story, with several adjoining each other, often with at least one entrance to each from a common hall or entry area. Like townhouses, condominiums are attached to one another. If you own a condo, you do not own the land surrounding your living space. A condo owner owns only the unit itself, which is taxed as an individual entity, and sometimes a percentage of the common areas of the community. It is important to note that condominium (condo) refers only to type of ownership and is NOT a type of house. Patio Homes (sometimes called Arizona Garden Homes or Detached Arizona Townhomes) in Arizona: are freestanding houses as opposed to townhouses or condominiums. They are often placed in the townhome/condo category because they offer many of the same features as townhomes and condos -- low or no maintenance and little or no yard work, and are on a very small lot. This type of dwelling may also be referred to as "zero lot line" because one or two sides are on or very close to the property lot line. Many people -- including some real estate professionals -- are not aware of this distinction. The key is that people often mistake type of house with type of ownership. Also, Arizona Townhome and Condo Builders do encourage local Realtors to show and sell their new Townhomes and Condos. However, your Realtor must be with you on your first visit to the new Townhome and Condo site. 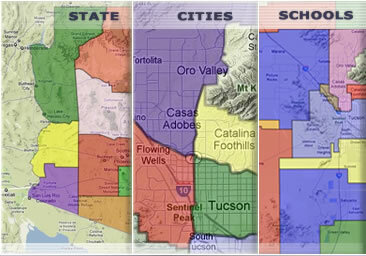 You will not pay more when you use your own Arizona Realtor to represent you. Arizona Townhome and Condo Builders have pledged themselves to a 'Single Price Policy', which means that their published prices shall be the same whether sold by the Builder or a Arizona Realtor. Our Arizona condominiums section below features pre-construction, newly built and resale condos from leading Townhome and Condo builders and developers in Arizona. We feature luxury condos, waterfront condos, golf, retirement and all types of condominiums to match your lifestyle. All of our Arizona condominium listings make gathering information about the Arizona condos, communities and builders very easy and accessible. Be sure to request a free brochure and contact the MyOwnArizona™ Team about a builder of your new Arizona Condominium home today. 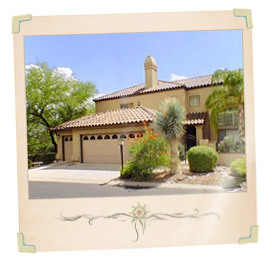 Why would you want to use an MyOwnArizona™ Team member as your agents to purchase a new Townhome and Condo in Arizona. Because we will represent you as a Buyers Broker and our primary responsibility is to protect you and your interests. We can give you information on neighborhoods, schools, nearby shopping, dining and entertainment. We know all the top Arizona Townhome and Condo Builders and their products and we fully understand new Townhome and Condo construction in Arizona. We spend a lot of time out in the local new Townhome and Condo communities getting to know every in and out of each neighborhood and the Tucson Townhome and Condo real estate market in general. 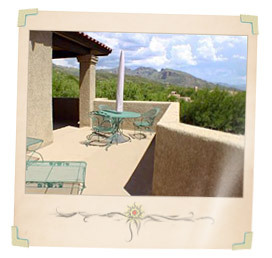 So whether you're relocating to Tucson from out-of-state, just moving from another Arizona city to Tucson, investing in a winter or second home, upsizing or downsizing, or just wanting your dream Townhome and Condo on the 18th hole, MyOwnArizona™ Team has the experience and insider know-how to get you and your family settled in no time. Contact us at: info@MyOwnArizona.com for Tucson & Arizona Townhome and Condo real estate.